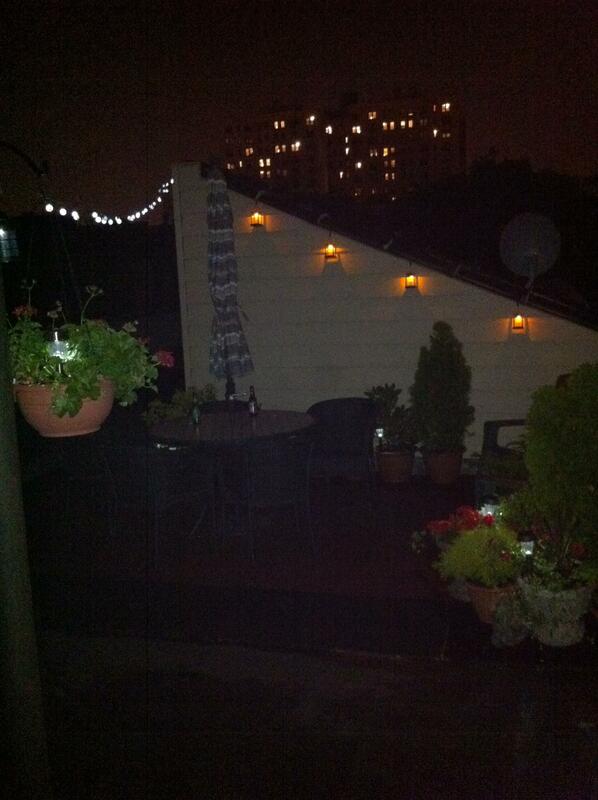 Now that the rain has cleared, RP and I finally got to hang out on our roof last night. I was excited to see that some of the pots had completely dried out; a sure sign that summer is here! Time to start our near-daily watering routine. Our ivy geranium in the hanging basket didn’t like the rainy weather, but it is perking up in the sun. A perfectionist could be frustrated that the color of the light coming from our mix of solar lanterns and lights don’t match, but let’s focus on how exciting it is to have a tiny roof top escape!